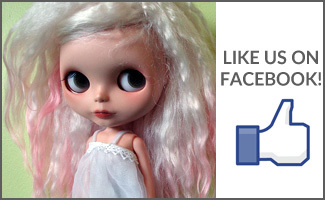 BlytheLife.com » What makes Blythe special to you? 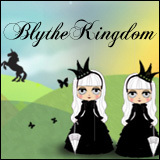 When the uninitiated are introduced to Blythe, I often get asked what’s so special about her? People automatically assume there has to be something special for an adult to be carrying around a doll. And there’s a lot to be said about those big-eyed beauties that have a place in our homes and in our hearts. I got my first Blythe when I was in an unhappy point in my life, so to me Blythe will always represent happiness. There’s just something joyful in their cute faces, stock or otherwise. And you cannot deny the magical pull that Blythe has on our heartstrings. I talk about Blythe a lot to people who probably don’t really care too much about them. But my boyfriend listens (and I listen when he talks about cars) to me when I talk about Blythe. He knows there’s different molds (even if he can’t tell them apart). He knows my dolls’ names, he knows that Eden only wears pink and he always asks before pulling on the string of a doll with sleepy eyes that he’s pulling on the right one. He says that I always smile when I’m talking about Blythe, that something about those dolls just makes me light up. And he’s right, there is something wonderful about Blythe that just makes me happy. But we all have our own reasons for falling in love with Blythe. 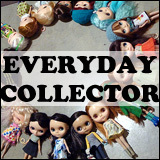 Some can’t resist the urge to customize and make the dolls their own, others love them for the cute faces and fashions. What are your reasons for loving Blythe? What makes them special to you? QOTW: To sleep or not to sleep, that is the question.